I’m delighted to report that we have the green light to move forward with the next stage of the Burrowes project. 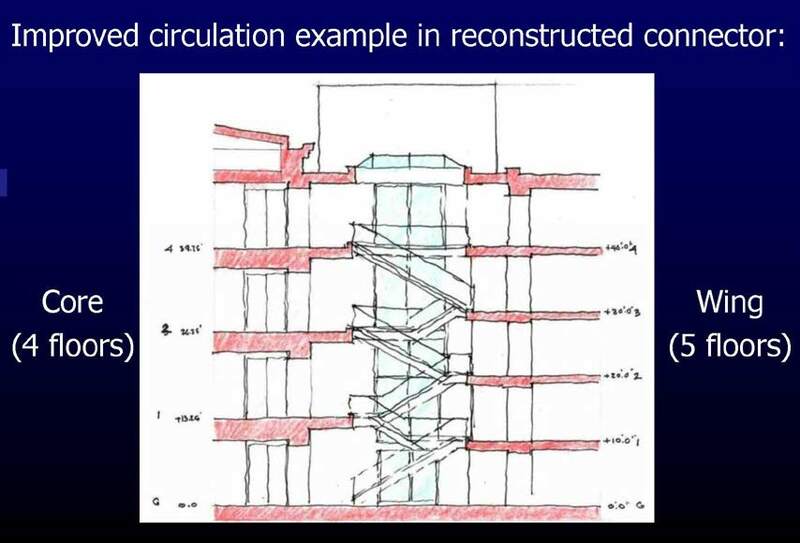 Elevators and stairs accessible to all floors will be relocated into the “knuckles” of the building, that is, the connectors between the core and wings. That will allow us to eliminate the duplicate stairs and thus free more space in the center core of the building. A cross sectional model of the stairs is shown below. To accomplish these objectives, the interior of the building will be gutted and redesigned. With the formal approval for the specifics of the project, the architects are now working to design the interior of the building. It is likely the construction will be in three stages. Unfortunately, the timetable has not been set, and since I know this is high on your list of questions, you can be sure that I will be in touch when we know something. I can tell you, fairly definitively, that we will not be moving anyone out of the building this summer. 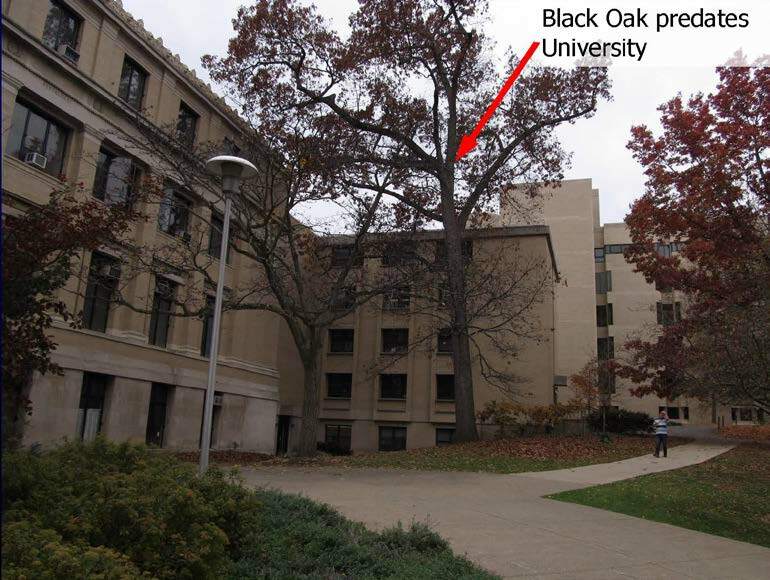 In the process of studying possible options for the knuckles, the University Forester determined that the black oak tree at the corner of the north wing and central core is more than 150 years old, predating the founding of the University. Trees of similar age are in the grove to the east of that tree. The University takes great care to preserve heritage trees during renovations, and we hope it will survive the construction activity. 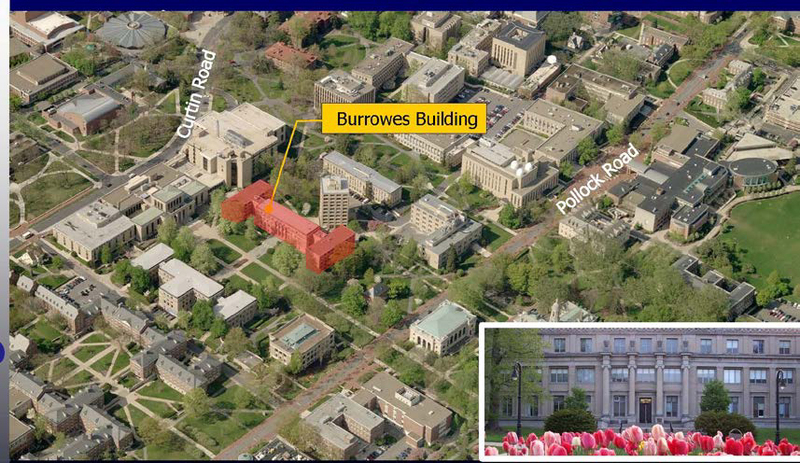 We are going to schedule a meeting in January to provide more information to the Burrowes staff and faculty. The lead architect, Nicole Dress, will present the status of the project. We will let you know as soon as we determine the time and place.